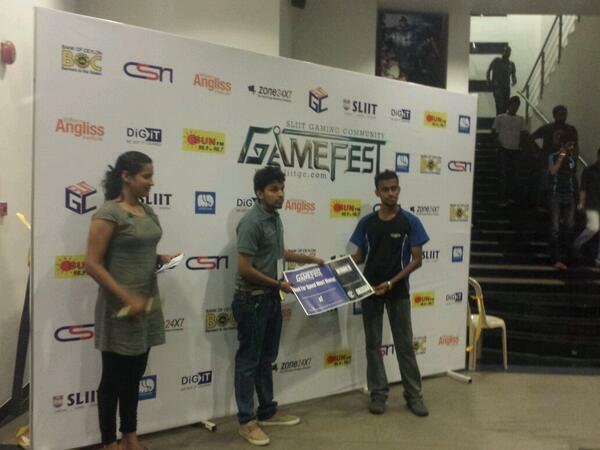 GAMEFEST ’14 is an Inter University and institute E-Sports tournament hosted by the Gaming Community of SLIIT. This event will be held on 26th & 27th of March 2014 at SLIIT Malabe Campus. Since the dota sessions are still going on, we will be wrapping up. 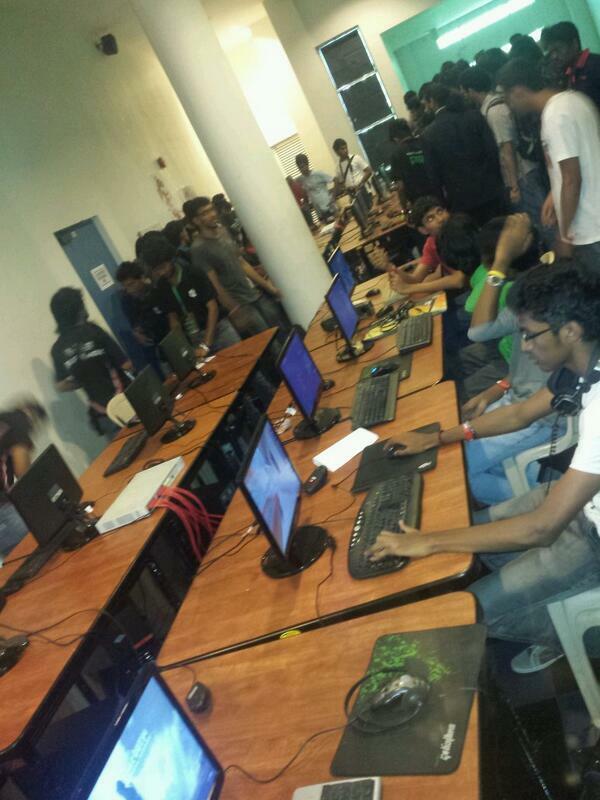 All the best to SLIIT Gaming Community for this initiative. It went great since yesterday. That’s the second place award for NFSMW. 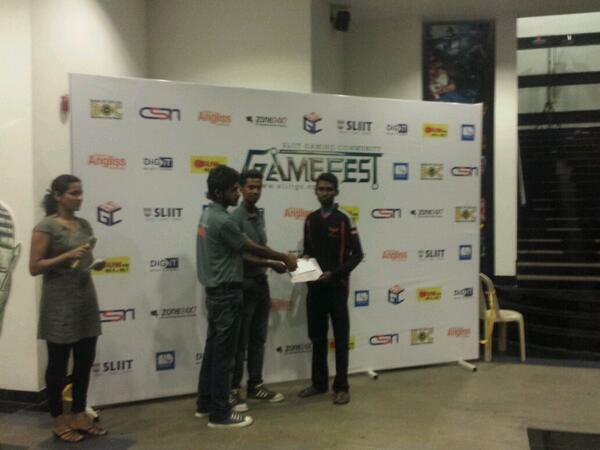 1st place d NFSMW goes to Yasitha from UoM. stay tuned with since the award ceremony has not started yet. 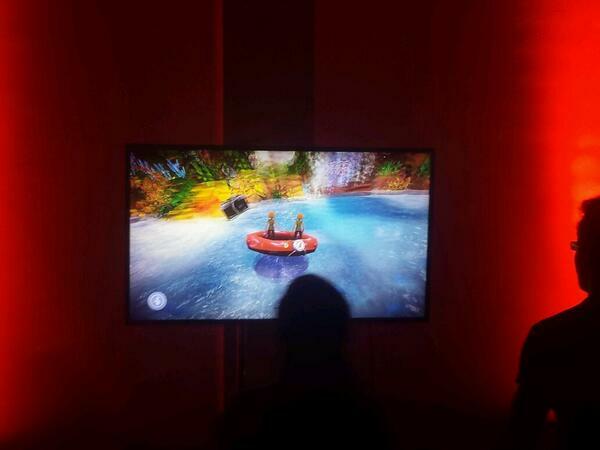 This Kinect game sure do looks amazing to play. 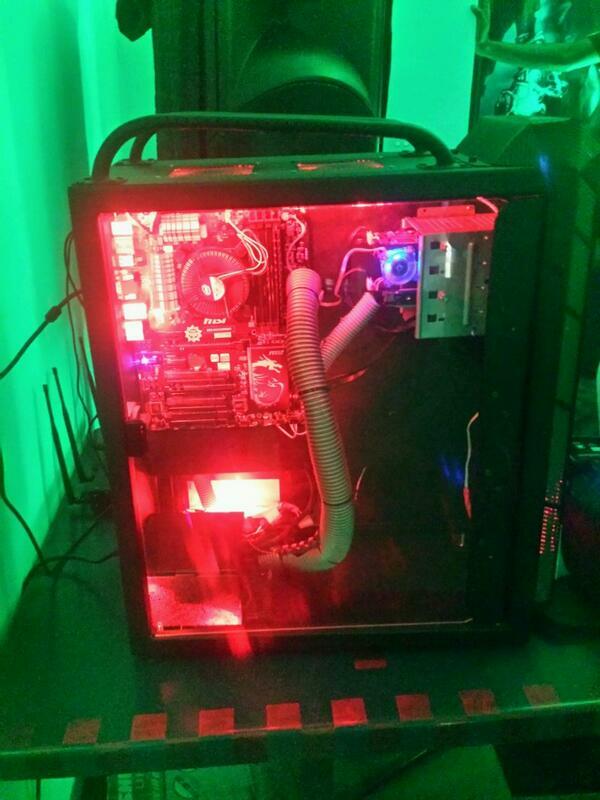 This lucky lad gets a Sponsorship by MSI for his custom built PC which is being exhibited here. Change of plans. The award ceremony will take place at 7 pm as we got to know now. Stay tuned. 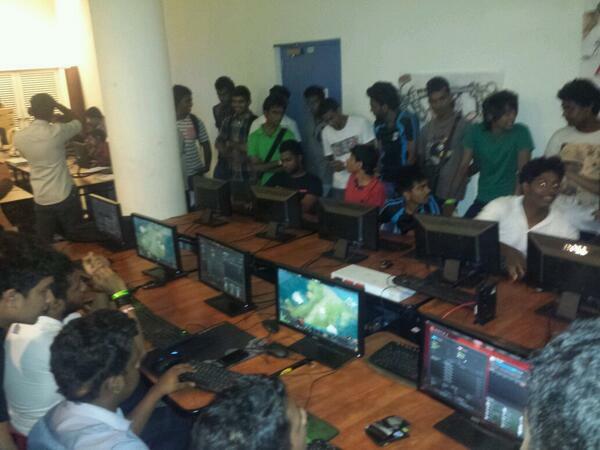 COD final between KDU and SLIIT. We will be having the award presentation by 6 pm while the final games are going on. Stay tuned. The hall is almost empty now. 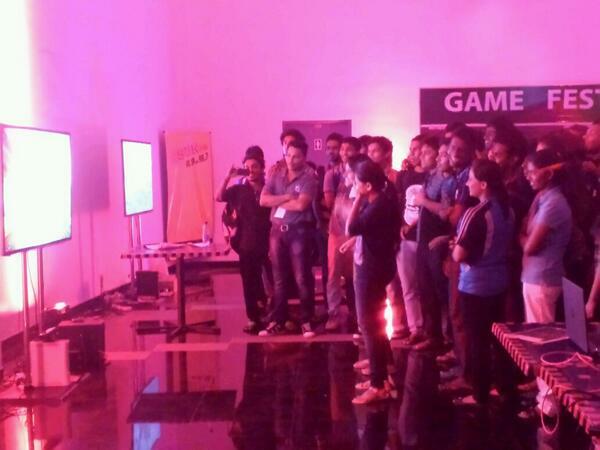 Crowd gathered around the Kinect Dancing game. 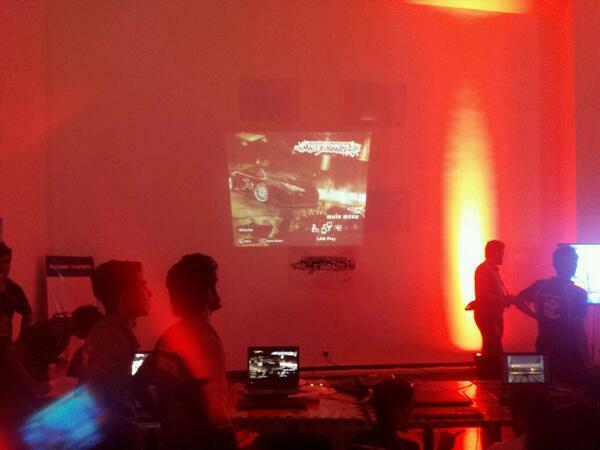 NFSMW finals are beginning as well. 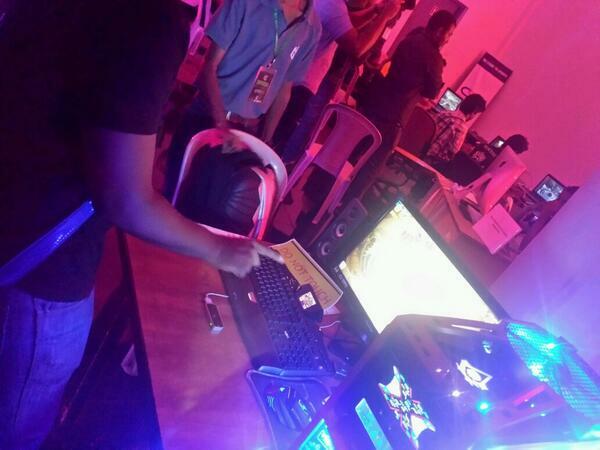 Things going smooth at the Dota station. Everyone I exceptionally calm now. 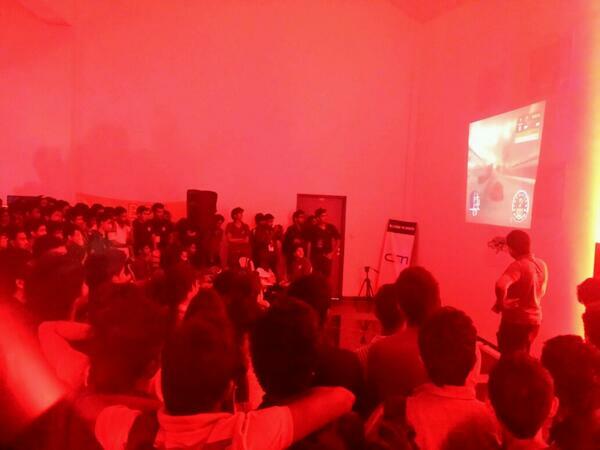 ‘Call of Duty’ semi-finals just begun. 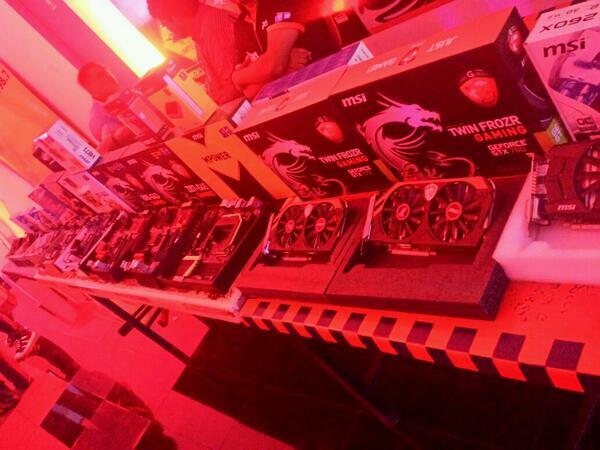 MSI products for showcase and for sale as well at Game Fest. 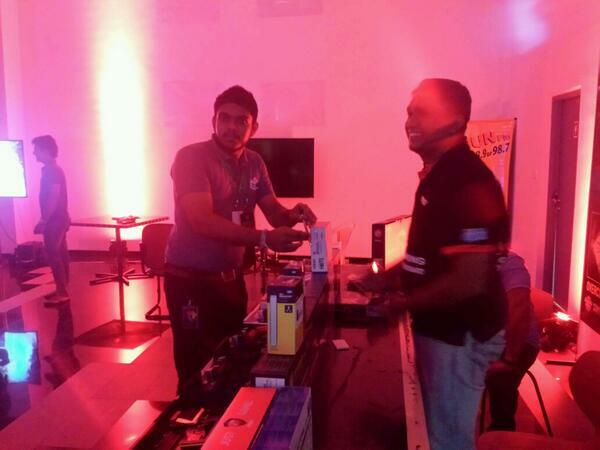 A lucky winner getting a flash drive from MSI for answering a question. Group Photo craze with the backdrop, is still going on. 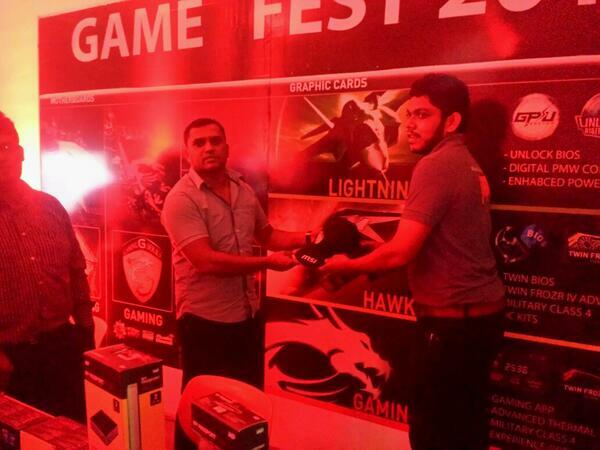 Every 2 hours, a winner from the Fruit Ninja game will be given a CAP from MSI stall here, at the award presentation. Wii/Kinect games in the lobby area 3. Peeps are enjoying stretching. 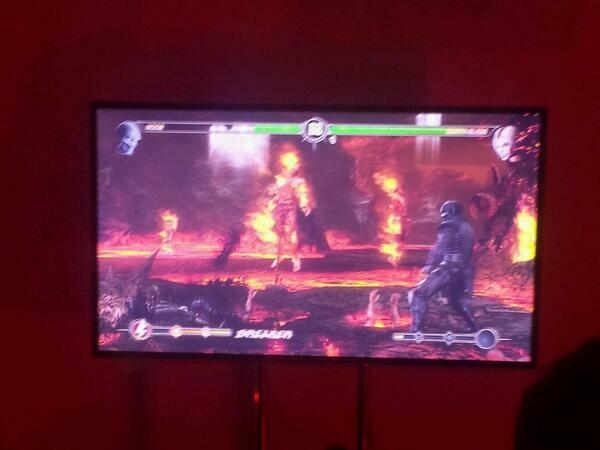 Mortal combat in the lobby area 2. We have leap motion in action with fruit ninja in the front Lobby area. We are back from the break we took for lunch. 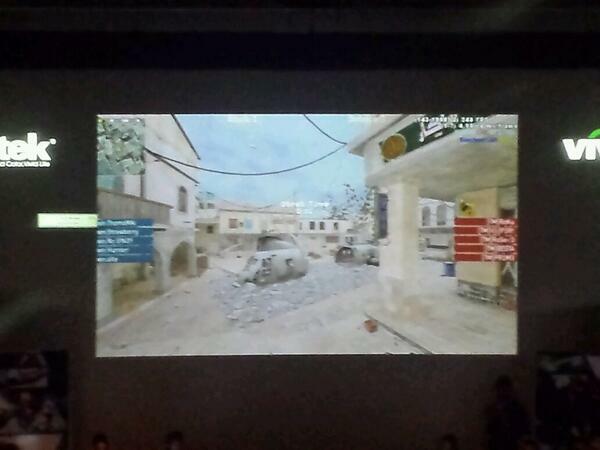 COD4 pro session going on in the Auditorium. There’s not even enough space. People waiting in line to be captured. 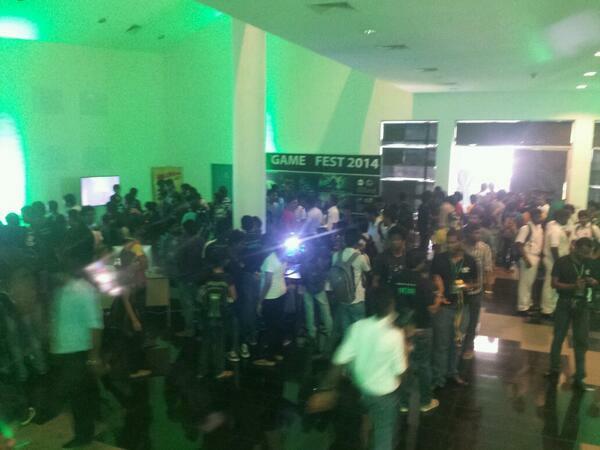 People who want to register now and play games can do so here by registering themselves. 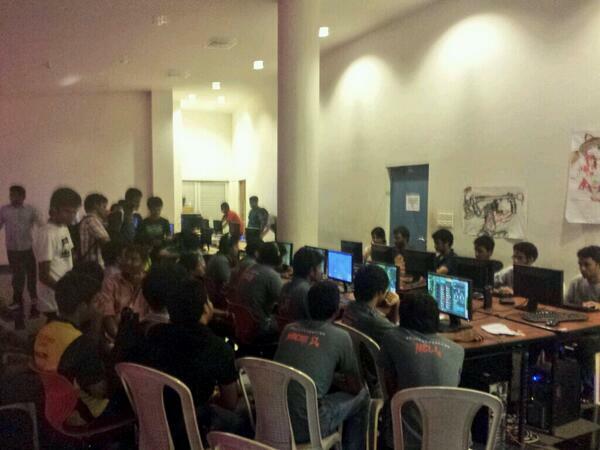 DOTA players are playing upstairs surrounded by enthusiasts. 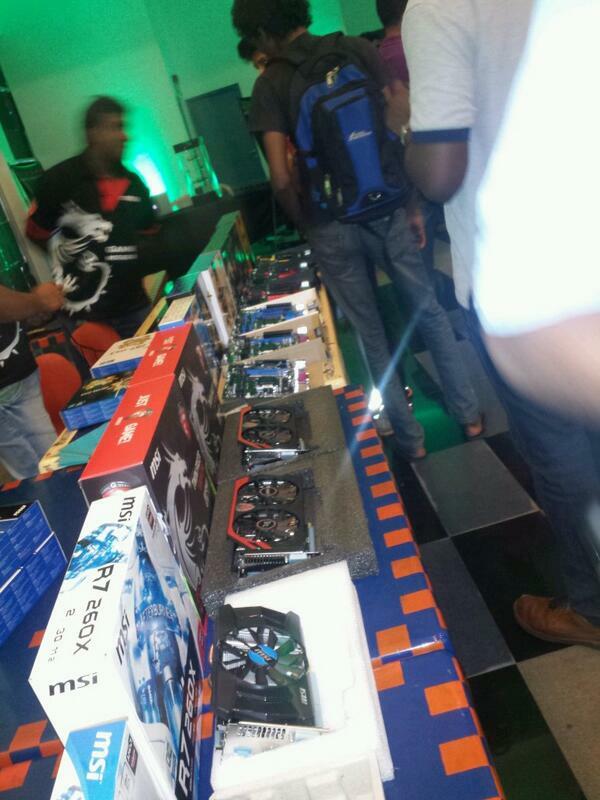 MSI products are on sale for those who are interested. 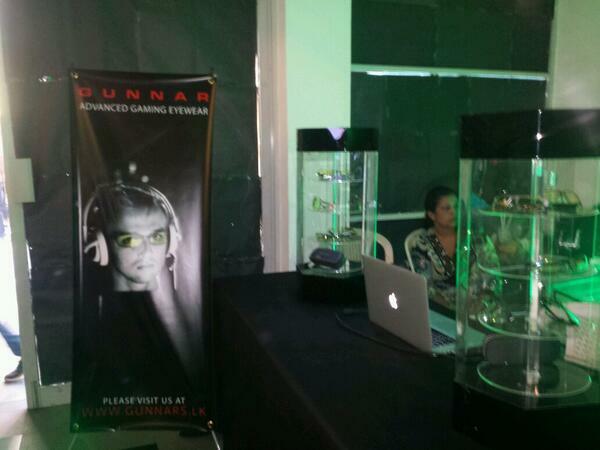 Gunnar is having their Eyewear stall today as well and he says, this premium Eyewear could be an investment for some. It’s that good. 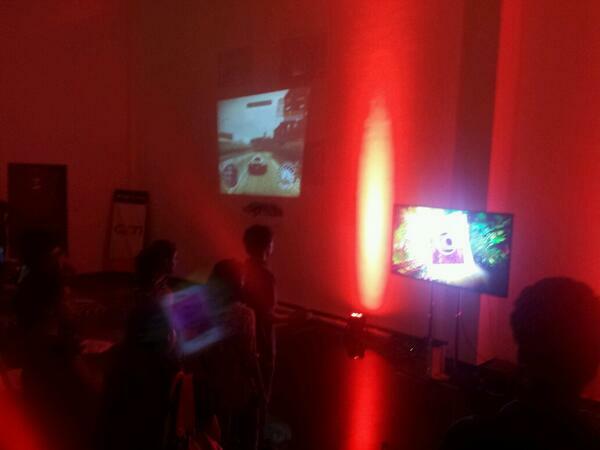 NFS is being played in the lobby area along with Kinect games. 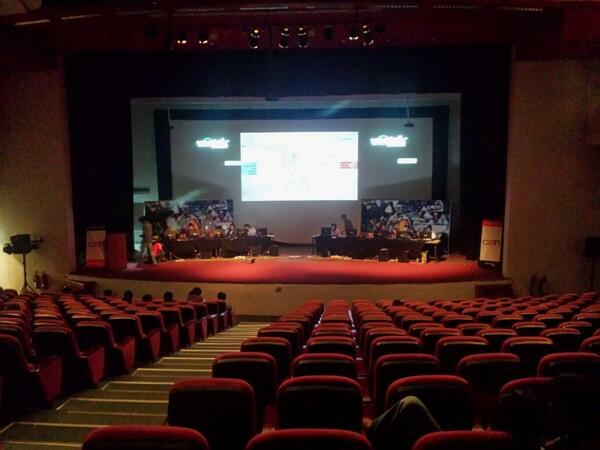 As yesterday, pro COD teams will compete at the main Auditorium, while the uni/school COD teams will challenge each other at the 1st floor balcony. Stay tuned for some pictures. Good morning everyone. This is team, Digit from Malabe SLIIT for Game Fest Day 2. 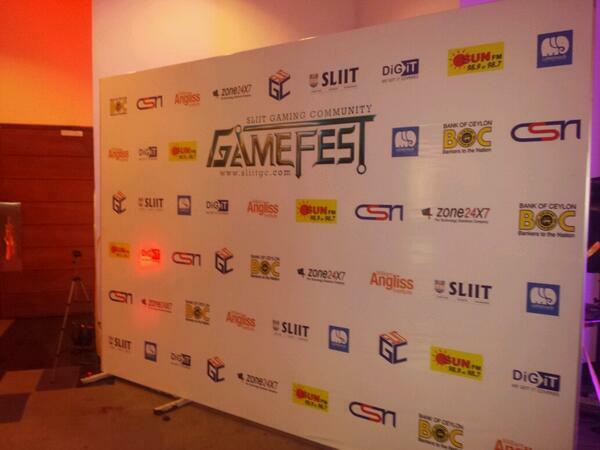 This is digit team, signing off from SLIIT for Day 1 of Game Fest. We just had our Lunch, and seems like the proceeding here are going to end as well, for today. We got all the action covered via images and video as well. 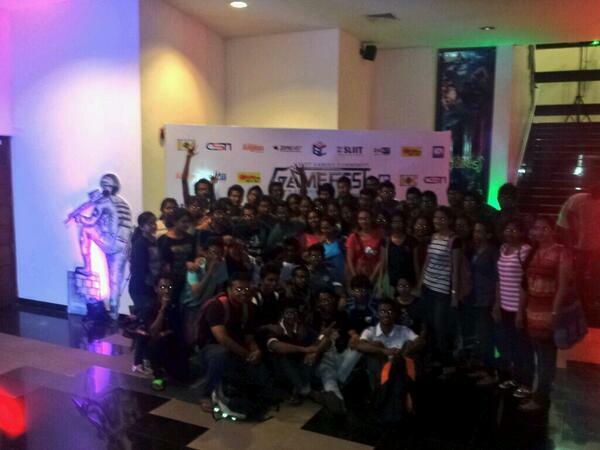 Un registered institute students can take part in the Game Fest by registering themselves at the door by paying the team fee for each game. School students and academia students are welcome. Zone24x7 stated that if a school or a uni makes a special request they might actually let them come to their facility to have a look at all the virtual (object oriented devices) and to play with them. 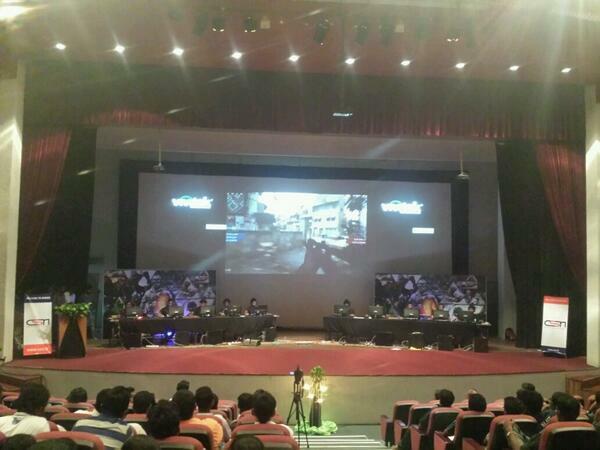 Pro COD competition is taking place at the Main auditorium while the inter-uni challenge competition is taking place at the 1st floor. 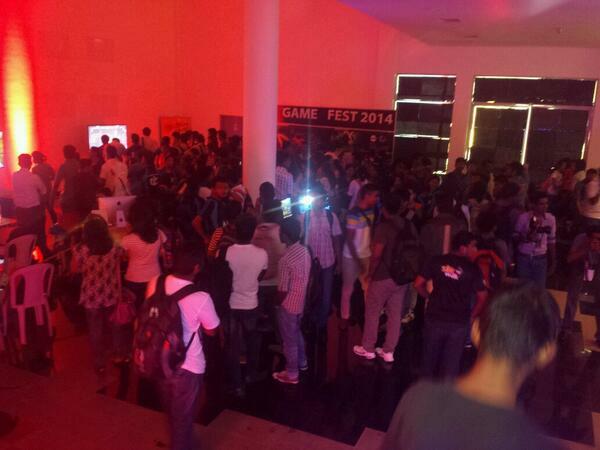 Crowd at the Game Fest this evening. 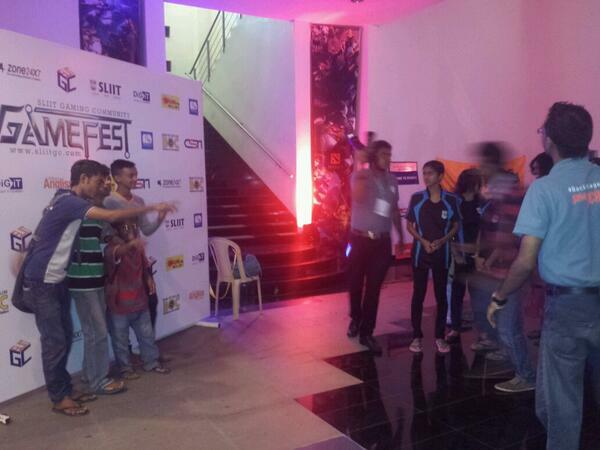 Interactive sessions by Zone24x7 will take place in the lobby area for school students. 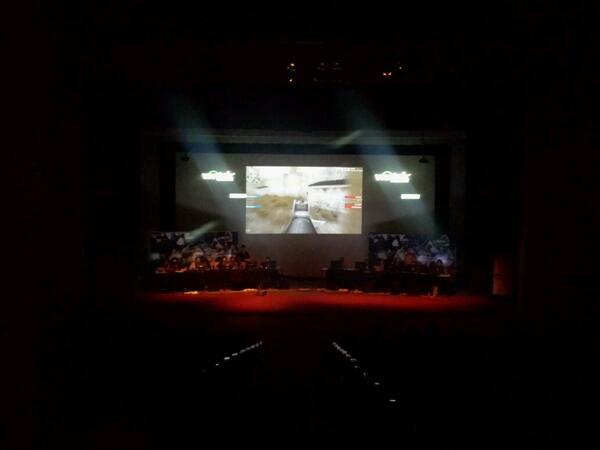 Half of the COD4 games will be played in the Main Hall, rest in the Balcony. 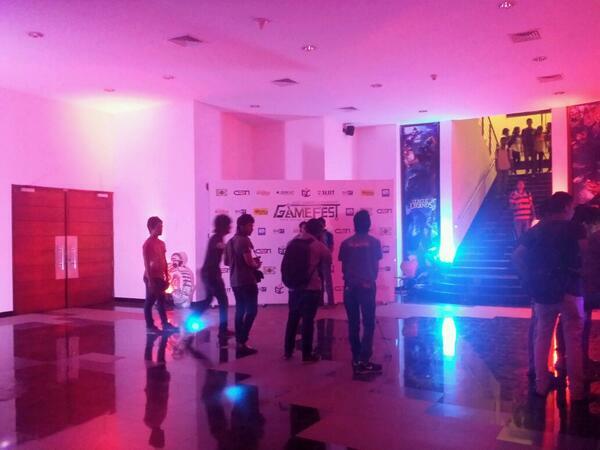 NFS and DOTA in the lobby area. Exhibition match, round 3 going on. An exhibition match will take place now. Call of Duty 4 it is. 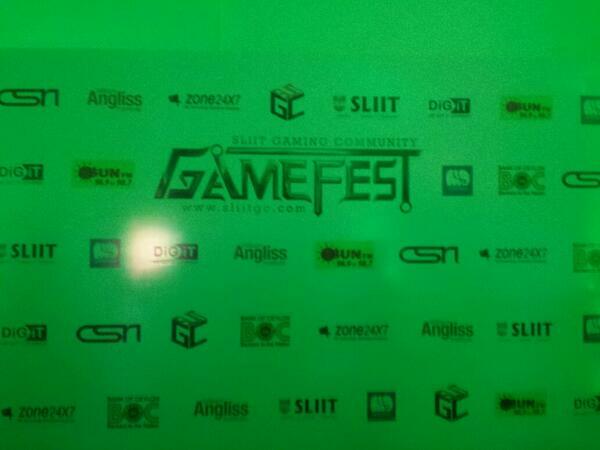 Kasun, President of the SLIIT Gaming Community will address the gathering. He welcomes and thanks everyone who supported this event. He finishes. To learn the game, you have to enjoy it. So that is why this event is happening. – Channak concludes. With that, we declare this event OPEN. An Intro video is being played. For the proceedings to happen, Dean of the campus and the present dignitaries will light the traditional oil lamp. Good Morning. 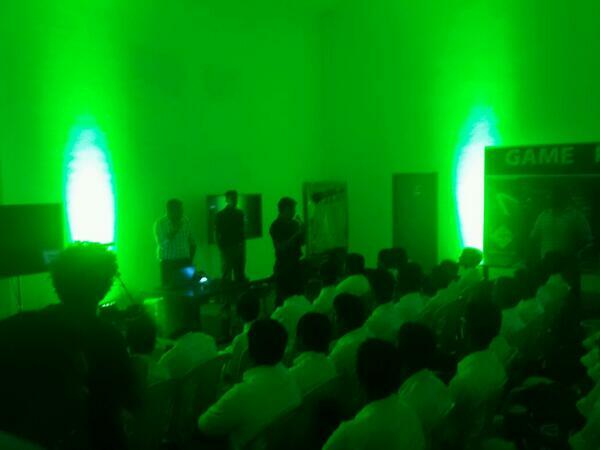 Stay tuned with the Live Blog since the event has not commenced yet.